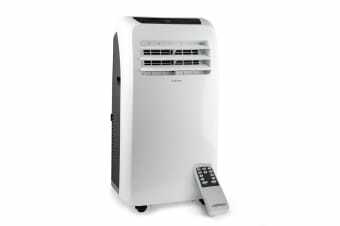 Keep your home cool this Summer with the Carson PA280 Portable Air Conditioner. Just imagine being able to sit back, relax, and use the remote control or your smartphone to adjust the temperature from the comfort of your lounge. With an impressive cooling capacity of 6.4kW it is ideal for cooling areas up to 20-30m3. The highly portable design enables you to easily position the unit where it is needed most thanks to the 360deg swivel caster wheels. The easy-to-install adjustable window exhaust kit allows for the removal of warm air to make those long hot Summer’s a breeze! 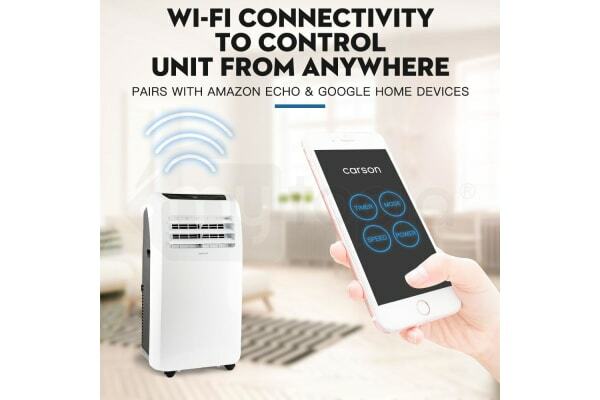 Advanced Wi-Fi connectivity allows you to remotely connect with your air conditioner unit from anywhere through the free Smart Life app. Turn your unit on or set the timer through your smartphone to ensure you arrive home to a cool house. 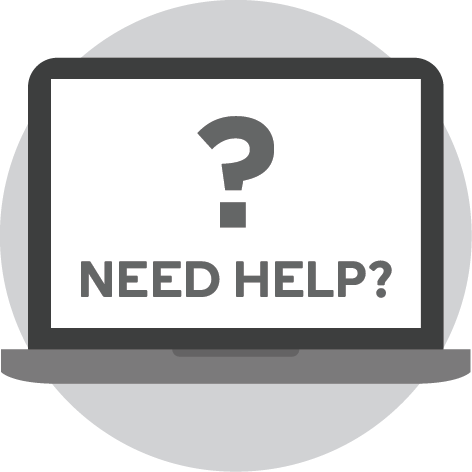 The Smart Life app also allows you to receive compete diagnostics on your device such as air quality, room temperature and humidity levels. 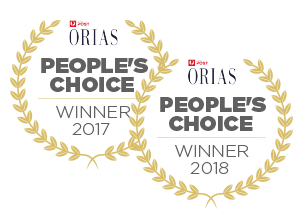 Even connects to Amazon Echo and Google Home devices allowing for voice control, the smart way to cool your home. Much more than just an air conditioner, the PA280 also features a dehumidifier mode to reduce the level of moisture in the air, perfect for humid or damp conditions. If you’re simply after some fresh air, you can take advantage of the fan mode. With 3 fan speeds and swing setting for the vents you can be sure the cool air will spread throughout the entire room. An integrated self-evaporation system means you can relax and don’t need to worry about constantly emptying water, simply set and forget. The PA280 boasts an array of impressive features to set it apart. Energy efficient operation ensures you can operate the unit all day with minimal energy use. To make sure everything is perfect when you get home you can set the timer on the easy to read LCD display up to 24 hours in advance in order to turn the unit on or off. 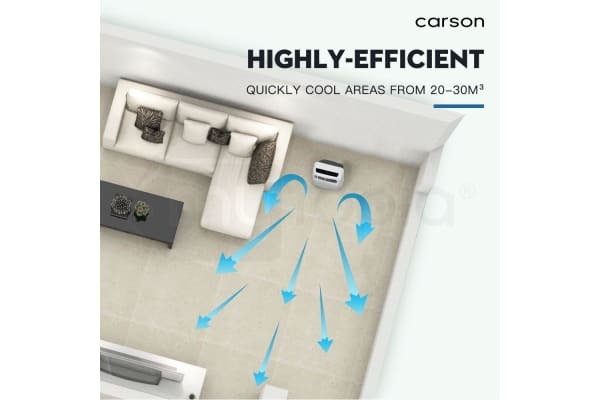 The smart way to cool your home – Order your Carson PA280 Portable Air Conditioner today! *The frequency of emptying water is dependent on the level of humidity in the air and also the mode the unit is operating in e.g. the dehumidify function will require more frequent emptying.